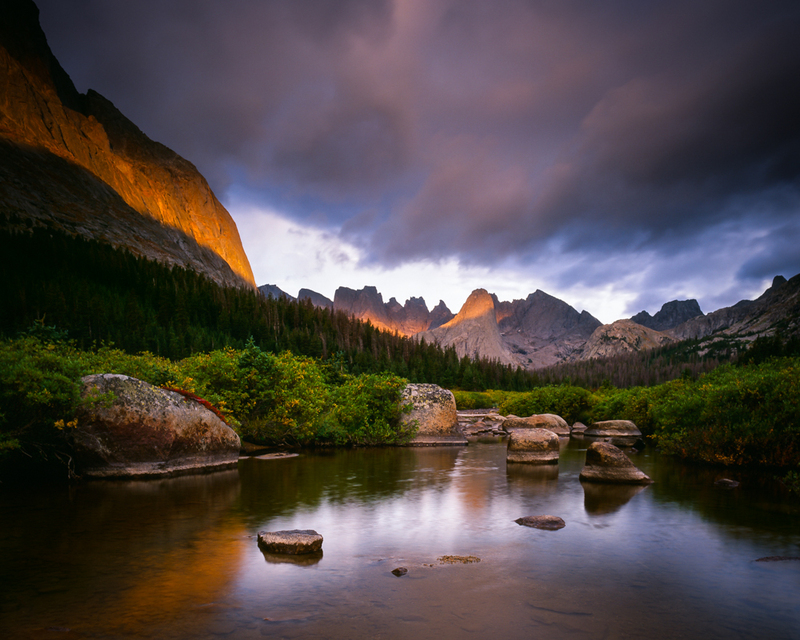 Join me on a once in a lifetime adventure in the beautiful and remote Wind River Range. 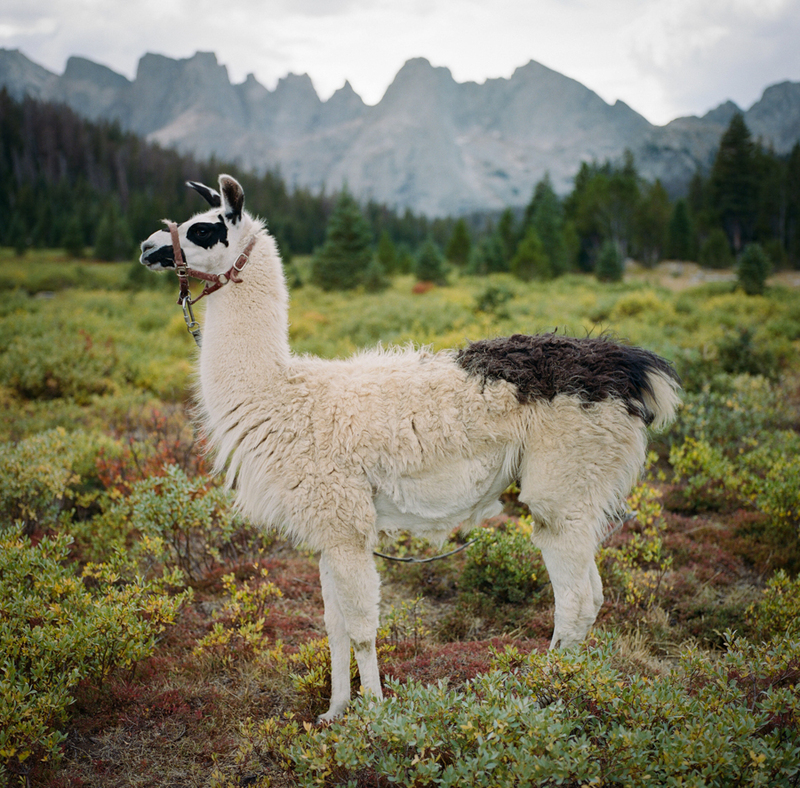 This 7 day tour will be a fully guided tour that enlists Llamas to help pack all our gear up to these magical locations. This allows you to only carry a small day-pack the entire time. We will be camping at pristine high alpine locations every night which will afford countless photographic opportunities. This trek is an experience, one that I’m sure you will remember for the rest of your life. I’m offering you some concentrated time to explore nature, yourself, and have a camera in hand while doing it. Breathtaking moments help to generate extraordinary photographs, and on this trek, there will no shortage of these. Next year, from August 31st to September 7th 2017 I would like to invite you on a once in a lifetime experience. I’m running another trip into this incredible wilderness. Like this last tour, I have hired an outfitter with over 30 years of experience guiding in this area. 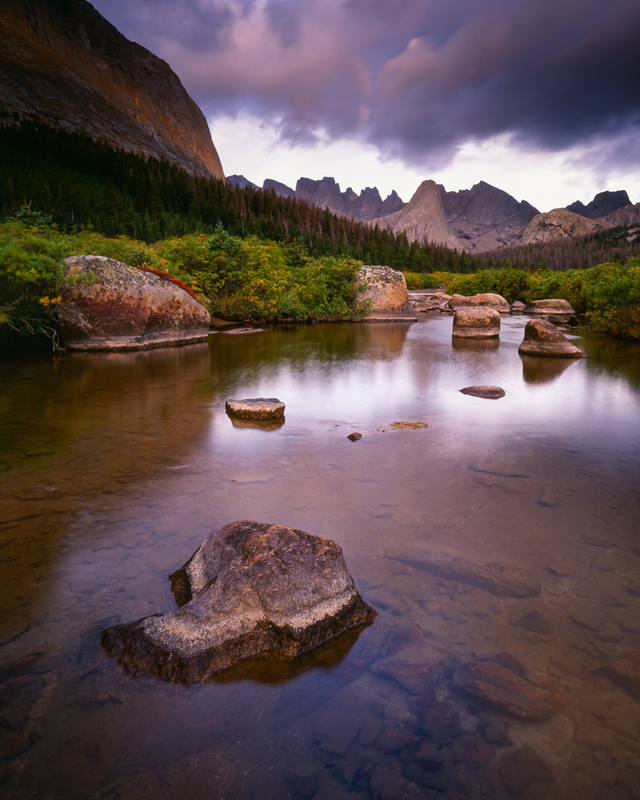 This trek traverses through one of the most stunning parts of the Wind River Range…The Cirque of the Towers. The regions we hike through are characterized by one fantastically picturesque valley after another. Since the last ice age, the glacial activity left these cirques ringed by massive granite walls and towers. 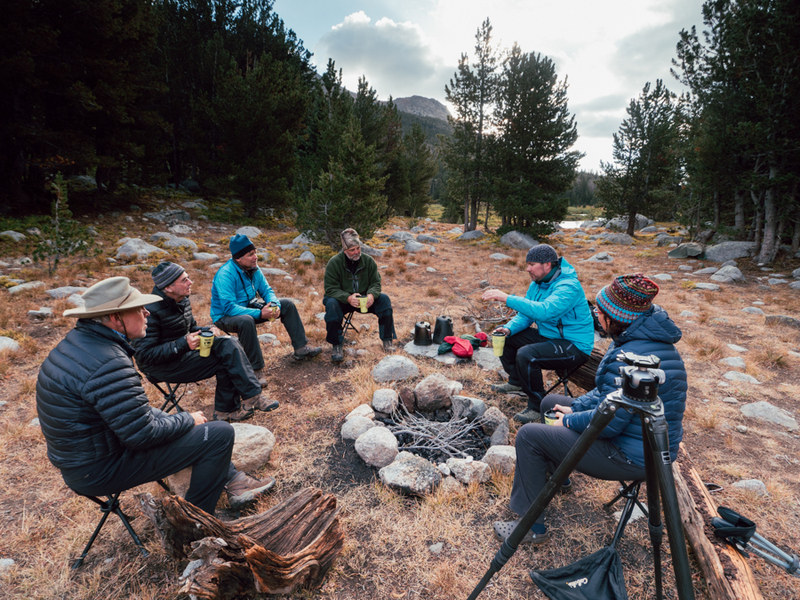 This trip is about making new friends, photographing pristine alpine environments, exploring amazing wilderness areas, and reconnecting with nature. 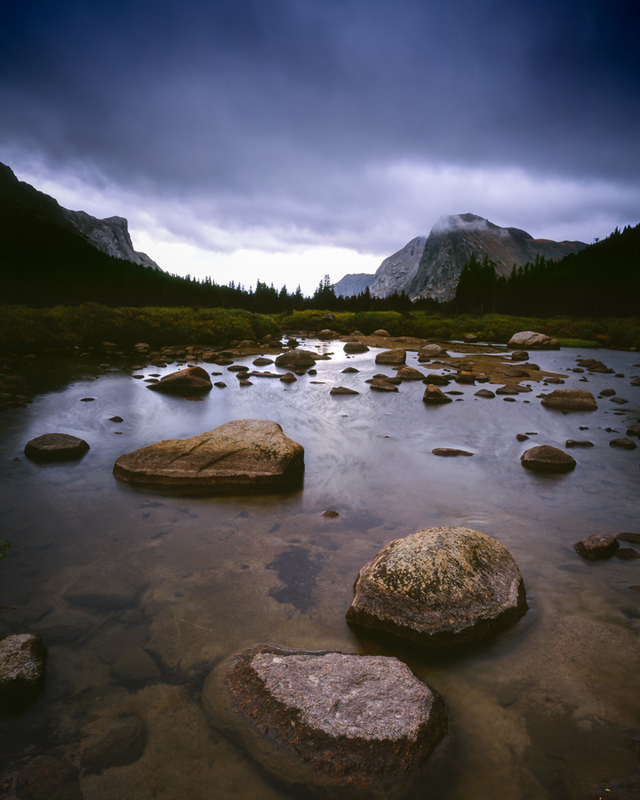 The wilderness areas of the Wind River Range are vast and wild. 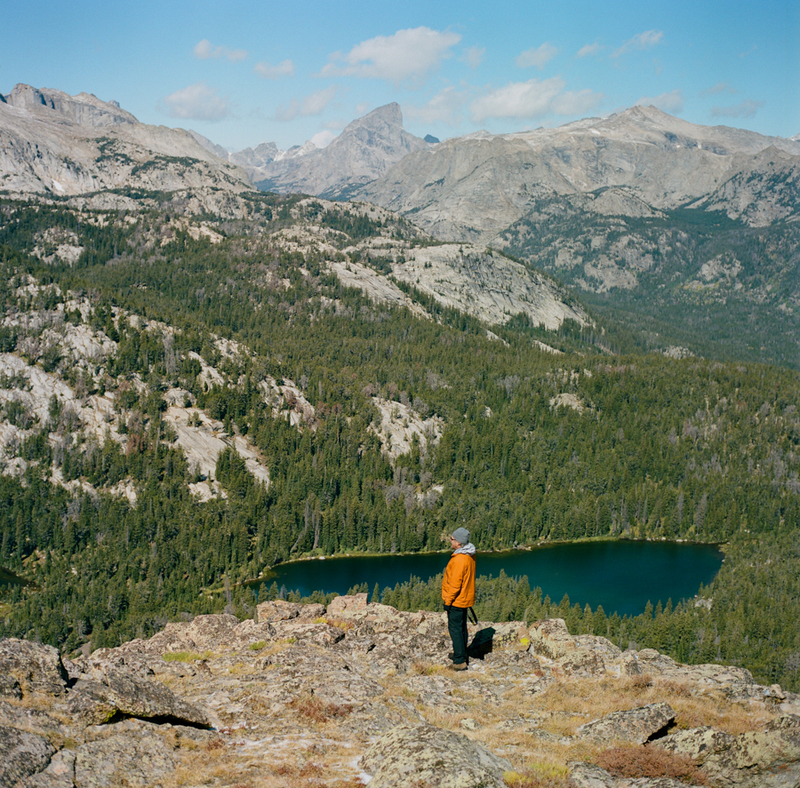 They’re not easily accessed and take days of hiking to get deep into the the wilderness. That is one of the many reasons the “Winds” are legendary. It is important to know that you will be miles from civilization. This Photo tour will be physically, mentally, and emotionally challenging. Long days of hiking on rocky, uneven trails with river crossings. We average between 5 and 7 miles of hiking when we move camps. The last day is 11 miles, 80% of which is downhill…it is still a very challenging day. It is possible you will have some nights where you don’t get much sleep. We have a total of 3 days off from our hiking (where we do not move campsites) so you have plenty of time to nap and rest if that is the case. I can guarantee you, this trek will be one of the most memorable and rewarding trips you will ever go on. View of the Cirque of the Towers from Pinto Park. Lizard Head is the large peak just off center to the right. Our camp of 3 nights is at the base of that beautiful monolith. 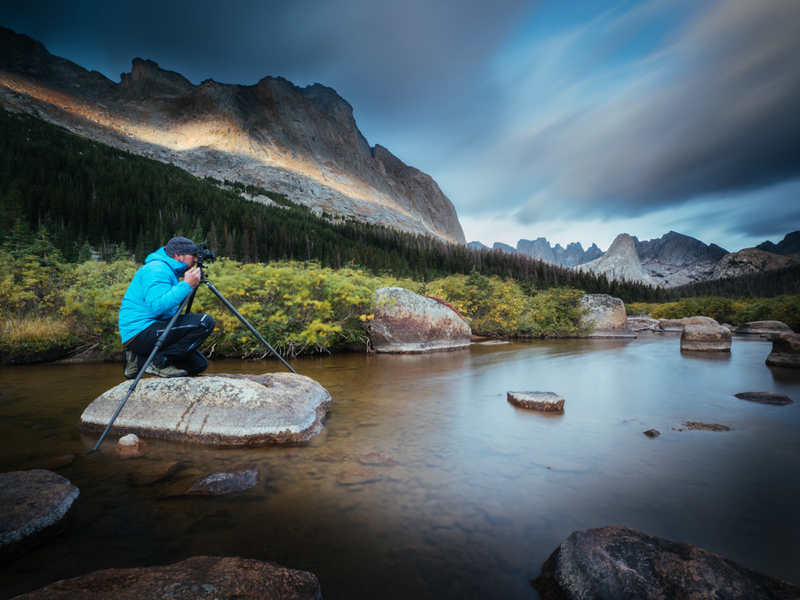 Receive one-on-one photographic instruction in some incredibly breathtaking locations. 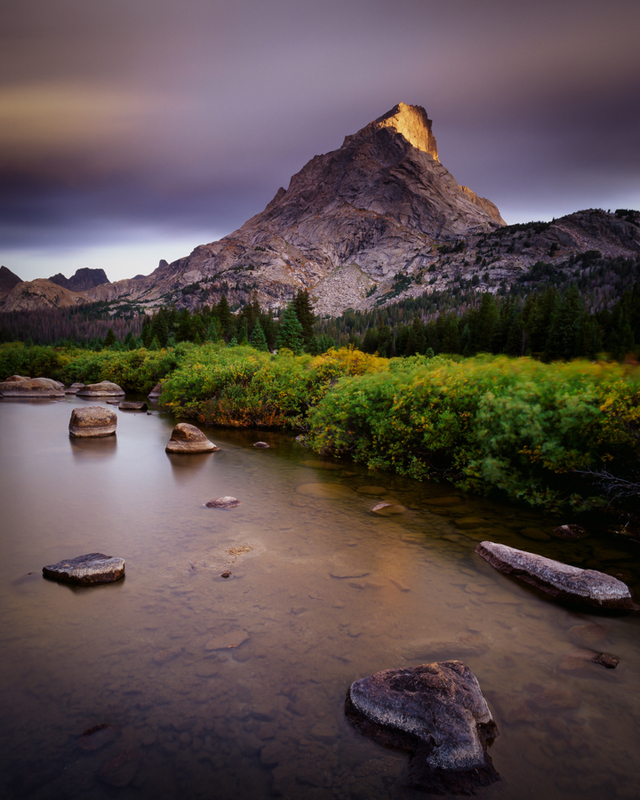 Photograph alpenglow on towering granite peaks, alpine meadows, mirror lakes, pristine creeks, the star filled night sky, and wild untouched natural beauty. Do you enjoy Flyfishing? 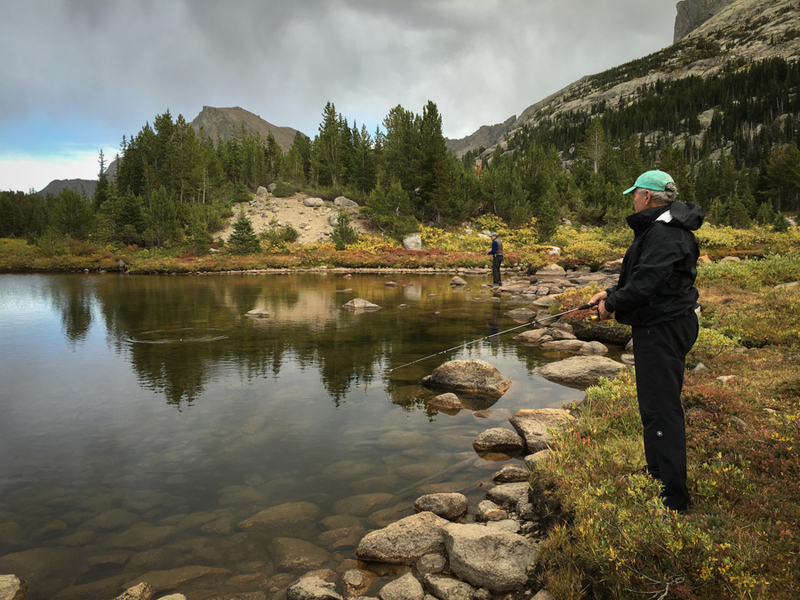 The excellent stream and lake fishing, combined with exotic golden trout in the high lakes, makes the Wind River Range a sought-after destination for adventurous anglers. 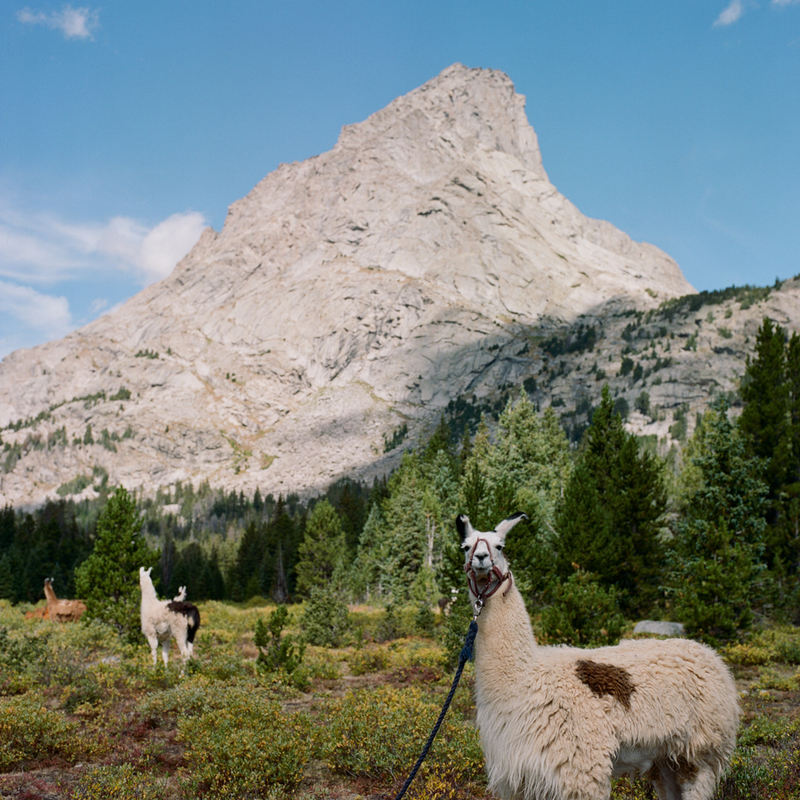 DetailsIMPORTANT!Daily ItineraryLogisticsRequired Photo GearPack ListWhy A Llama Trek? Tribal Permit for Passage through the Popo Agie Wilderness (Pronounced “Puh Poe – Sha”). You will have to be present when I purchase your Wilderness permit. We will do this on August 31st in the afternoon at Wild Iris Mountain Sports in Lander, Wyoming. Hotel night stay on the 7th of September. It is not required you stay an extra night when we return, but it is recommended. We will be getting back to the trail head around 4:00pm and Lander around 5:30pm. A celebratory dinner at a local restaurant will be at 7:00pm in Lander. Bear Spray (optional) & must be purchased in Lander. See the Packing List tab for more information. (Please refer to the pack list) We ask that you supply a couple of gear items on your hiking tour. These items are two 1-liter water bottles per person, or a water bottle and 2 liter camel back bladder. Either a headlamp or flashlight per person, a lightweight waterproof stuff sac will be provided for your clothes and belongings to be packed on the Llamas. Basic items like sunscreen, bug repellent (where and when applicable), lip balm, and toiletries you need to bring. (Please refer to the pack list) All trips require a sturdy pair of hiking shoes or hiking boots (reliable brands include Montrail, Lowa, Merrell, Vasque, and Salomon), rain gear, and non-cotton clothing layers. A minimum of 4 pairs of wool or synthetic hiking socks are also required. You’ll get the maximum amount of enjoyment out of your hiking trip if you are physically well-prepared for it. We recommend hiking, swimming, running or other aerobic activity combined with strength exercises and stretching for optimum preparation. We will be hiking 5 to 7 miles a day on rocky and uneven trails. The last day is an 11 mile day (although we will be hiking down hill for 80% of the time, it is still a big day) it is important you are prepared for this and are in good shape! We offer the exercise regimen below as a guide to help you prepare. Please note: it’s very important to adapt this plan to fit your specific circumstances and goals, as well as the specific demands of the trip you’re joining. We also recommend checking with your doctor before beginning a new workout routine. Engage in a routine of three to five 45-90 minute workouts per week. Workouts can mix cardio (running, climbing stairs, swimming, cycling..etc.) with strength exercises. The Stairmaster machine, with revolving stairs like an escalator, is excellent for preparing for a hiking trip. We recommend putting 15-25 pounds of weight into a backpack and hiking with it during your hiking workouts. The hillier the terrain, the better. One day per week do an extended cardiovascular workout. Long hikes on hilly or mountainous terrain are best as they well-replicate what you’re preparing for. Cycling, swimming, playing sports, or combinations of these activities, also work well. Four to six hour workouts are best. I you live in a city, I would recommend climbing stairs in an office building with your pack. Stretch before and after workouts for 5-10 minutes. Be sure and stretch all of your major leg muscles, your shoulders, and your back muscles. Drink plenty of fluids, 3-5 liters of water and juice per day depending on your body weight. Eat a well-balanced diet with lots of fruits and vegetables. Avoid highly processed or sugary foods and drinks. -Fishing, day hikes, resting, star gazing…this is an incredible place to spend some concentrated time in. 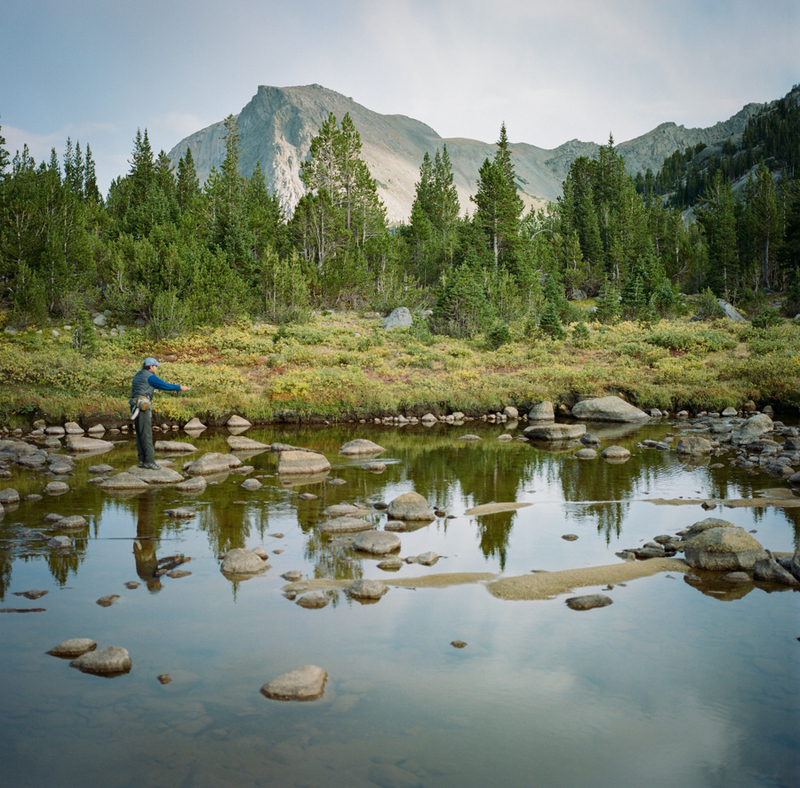 -Hike 11 miles, and roughly 2,000 feet of elevation loss, 800 feet of elevation gain. 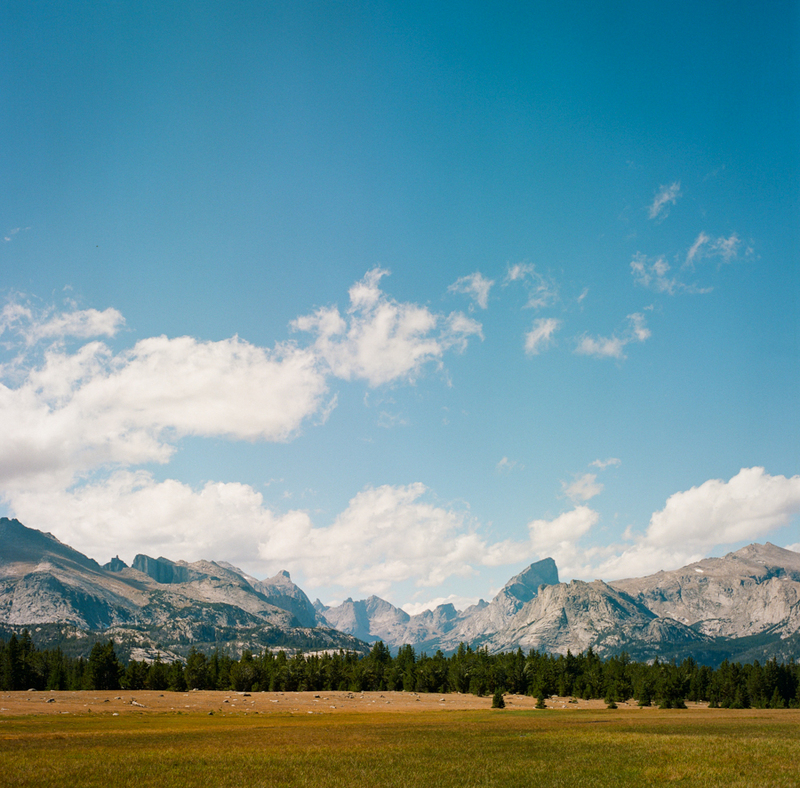 At the latest, you should arrive by noon on August 31st in Lander Wyoming. If you are coming from sea level or a low elevation, I would recommend arriving a few days before the 31st. It will help you immensely to spend a few days at higher elevations (Lander is at 5,300 feet) before we start our trek. Our first day of hiking starts at 9,300 feet, then drops down to about 8,400 feet for instance. We will meet at the Holiday Inn Express & Suites in Lander, Wyoming the evening before the trek begins. The next morning we will be picked up at 7:00am for transport to the ranch, then the trail head. What altitudes will we be at? Lander, Wyoming is at about 5,400 feet of elevation. Our first day on the trek begins at 9,300 feet and drops to about 8,400. We will not drop below 8,000 feet during this trek. Our camp of 3 nights at Lizard head Meadows is at about 9,400 feet. And our camp of two nights at Pinto Park is about 10,400 feet of elevation. How do I get to Lander Wyoming? There are daily flights to Riverton, Wyoming (30 miles away from Lander). There is a flight out of Denver, daily at 10:30 am, arriving in Riverton at 11:52am (direct). Great Lakes Airways is the carrier of choice. Please make sure and book your flights early as they fill up quickly, and book with Great Lakes Air directly…no 3rd party booking services please. Is there an outdoor shop in Lander? Yes there is, Wild Iris Mountain Sports. They have a great selection of high quality outdoor gear in case you need to purchase something for the trek. Your safety is our top priority. 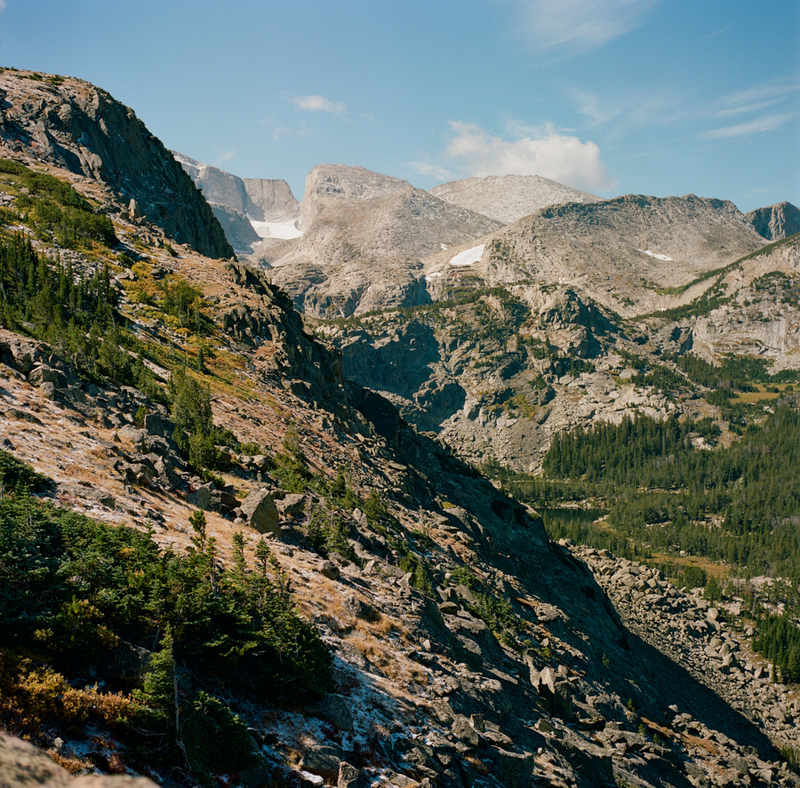 Our hiking tours are led by professional Wyoming hiking guides, all of whom are wilderness-certified first responders or EMT’s, each with years of guiding and wilderness experience. 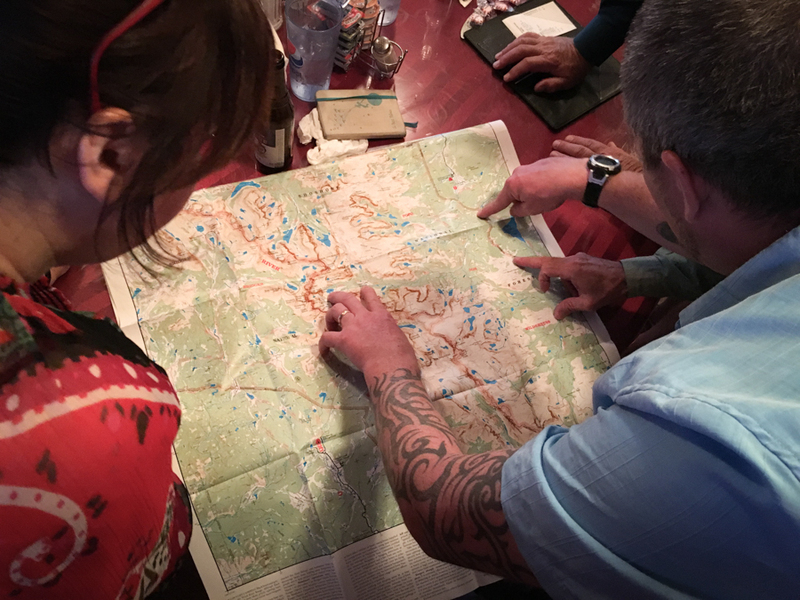 We’ve developed comprehensive risk management protocols that our guides adhere to in case of an emergency, and most tours carry a satellite phone. Your tour will be led by a trained, experienced professional with a solid guiding background, years of personal wilderness and hiking experience, training in llama-handling, medical certifications, and a passion for leading people into breathtaking landscapes. I will have an assistant to help with photographic questions, and I will also be available for photographic instruction. The standard ratio on llama trips is 4 guests for every guide, with a maximum of 8 guests and 2 guides. If you have more questions about group size, please give us a call Raynor Czerwinski at (970)270-5753 and we’ll answer all your questions. SLR, or mirror-less camera system. 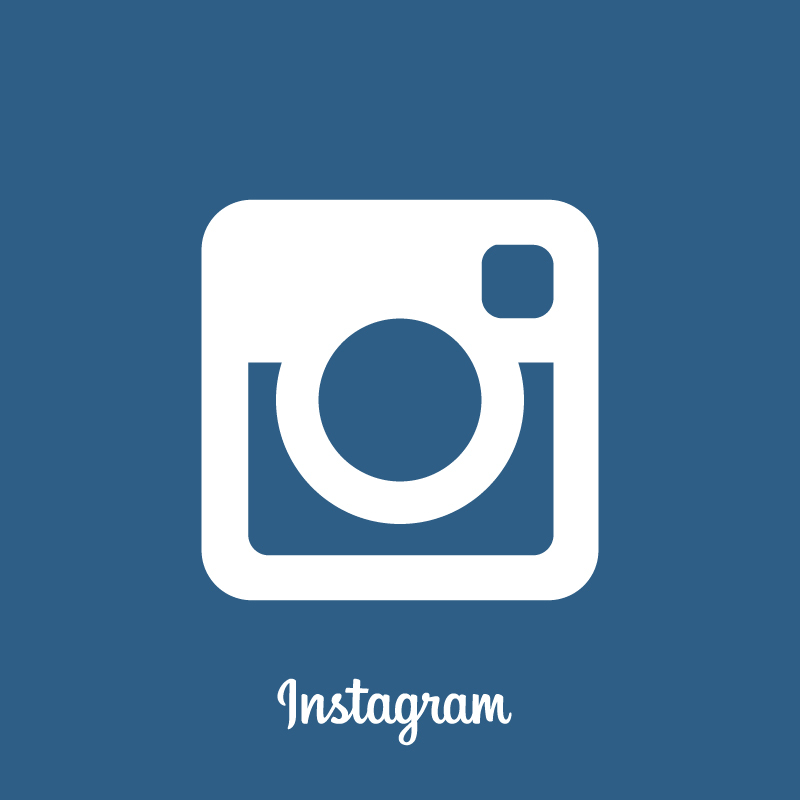 A camera that you are most comfortable with is key here. It would be ideal to have a main camera body and a backup. Wide angle lens. I’m a big fan of prime lenses, but a good wide angle zoom will work great as well. Something in the 18-24mm range will be great. If you have an APS-C camera (crop sensor), remember that you will need a 12mm lens to have the equivalent of an 18mm lens on a full frame camera. Telephoto lens. An 80-200 will be a good lens to have access to on this trip. We will have the potential to see bears, moose, bison, bighorn sheep, elk and more. Good sturdy tripod, carbon fiber preferred. I would recommend tripods from: Gitzo, Really Right Stuff, and Manfrotto. Graduated Neutral Density Filters (ND Grads). I also find these essential. A lot of my teachings revolve around these wonderful filters. I recommend the Lee filter system. A 2 stop hard and a 3 stop medium is a great start. If you want to experiment with longer exposures, I would recommend getting a couple of their full ND’s as well. You will need the Lee Holder, a wide angle adapter ring for your lens, and the filters. Extra Batteries. We will be in the backcountry for a week, and the last thing you want to have happen is you run out of power. I would recommend 5 fully charged batteries per camera body. If you are a film shooter, bring plenty of film at least 50 rolls. I recommend Velvia 50 or Kodak Ektar 100. Again, for the film shooters, a good handheld spot meter from Sekonic is a great way to go. Hiking socks, one pair for every two days of your trip, plus an extra pair to sleep in. 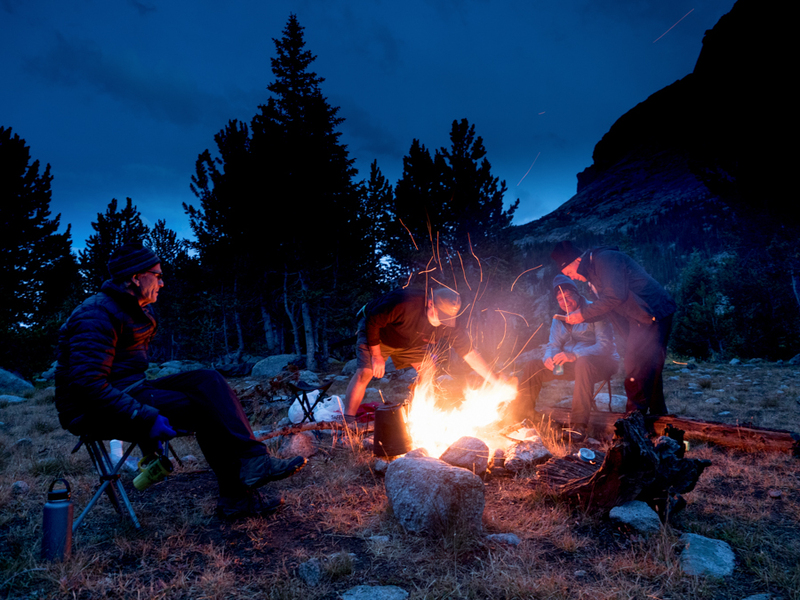 Recommended brands include Bridgedale®, Smartwool®, or similar padded socks (wearing thin liner socks under your hiking socks is highly recommended). No cotton socks!! And please break in new boots with the socks you plan on bringing on the trek! Long underwear, two pairs of wicking tops and bottoms that are light-to midweight, example materials include capilene, merino wool, polypropylene, etc. 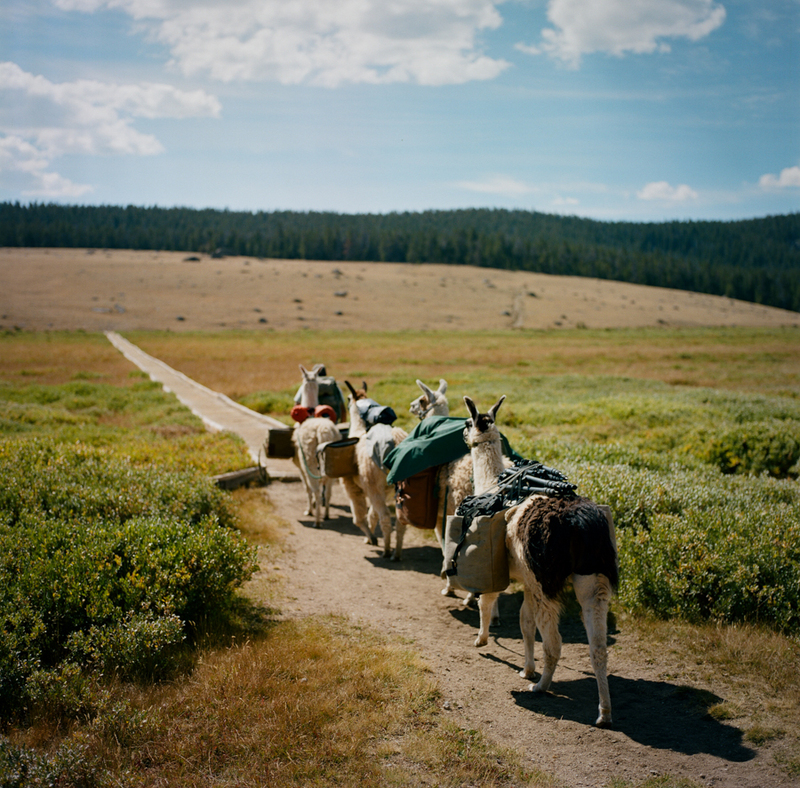 The fact that lllamas allow you to hike with a light day pack is just the beginning. 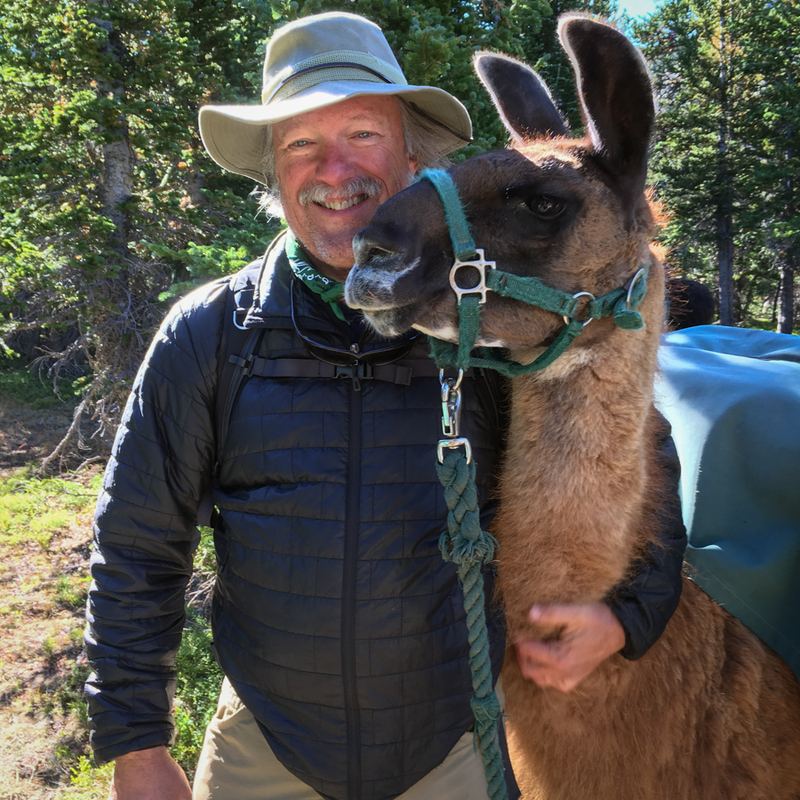 Llamas make great hiking companions, and in fact the relationship goes far beyond them being simply “beasts of burden” transporting your supplies. Llamas are naturally curious and very aware of their surroundings, often the first to spot wildlife along the trail. It’s almost impossible to approach camp without the llamas watching you. They enjoy new sights, love sampling the cuisine du jour and become very much a partner in your adventure. Llamas leave no more impact than a deer. 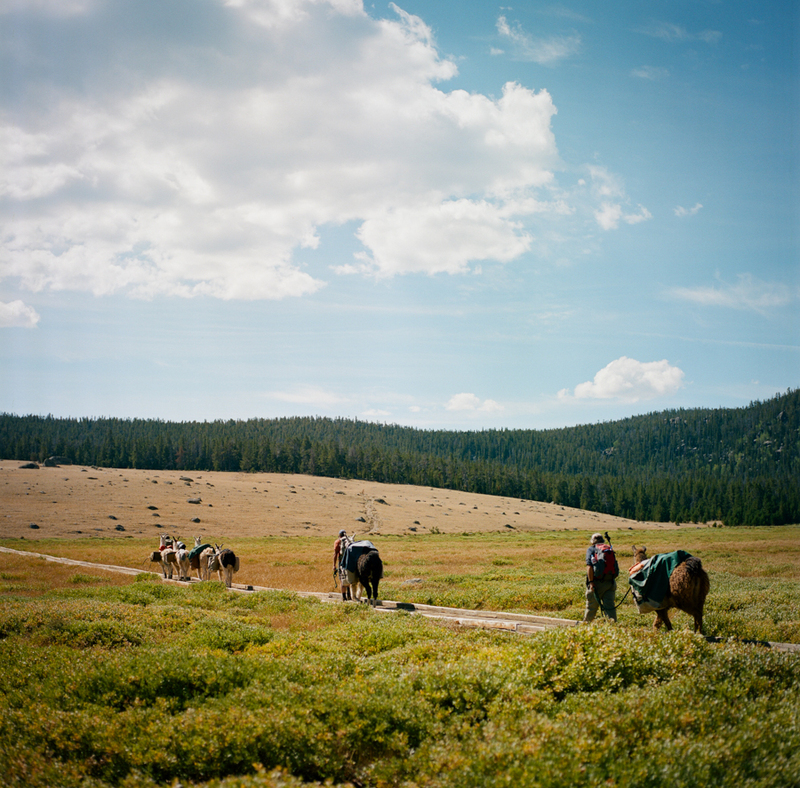 Mules and horses, because of the metal horseshoes they require, are notorious for tearing up trails which leads to erosion. 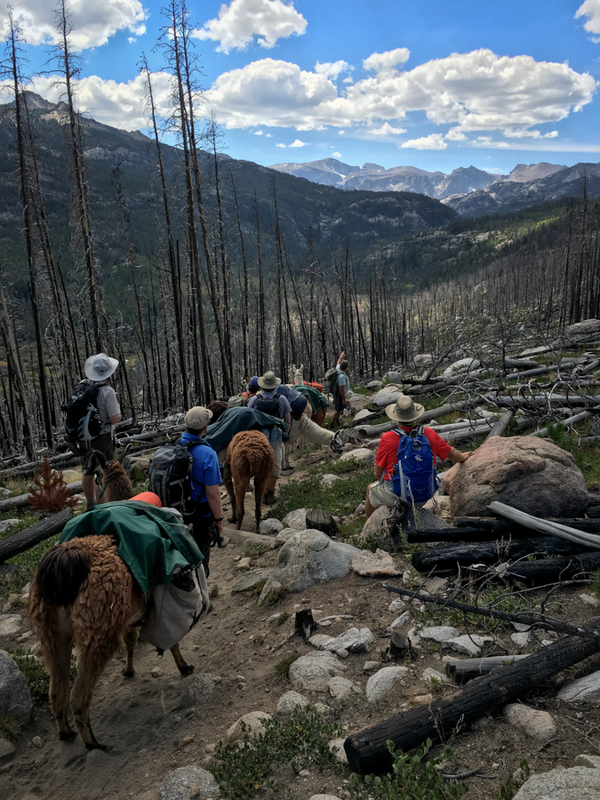 One of the great benefits of hiking with llamas is you get the same benefit as a pack horse or mule, but without causing damage to our remaining wild and majestic places. Honestly, not much other than a desire to hike, a passion for photography, love for stunning mountain scenery, and a willingness to bond with a very unique and cool animal. 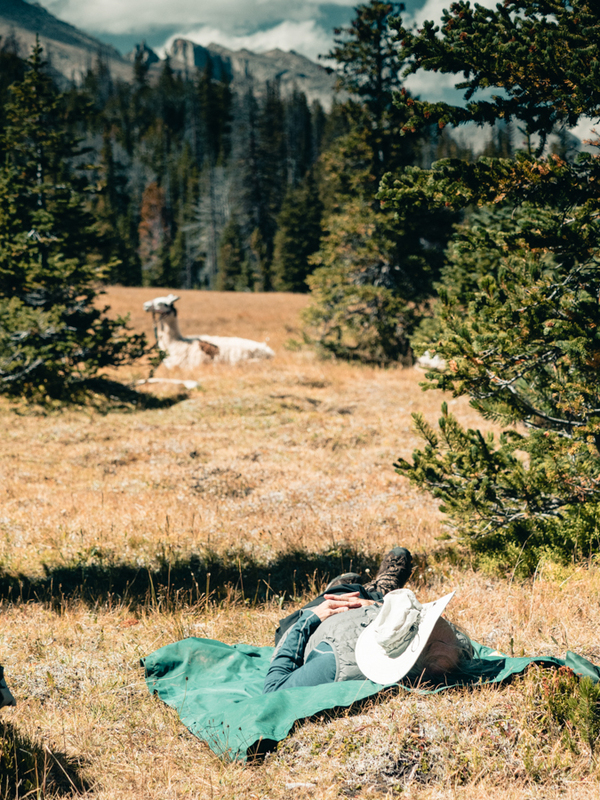 You’ll have the option to lead a llama or hike on your own, but we recommend leading one to enhance your experience by forming a relationship with “your” llama. It’s not uncommon for some guests to be in tears at the end of their trip when they must say goodbye to their furry friend. We love them, and we think you will too!